Paragon announces that CEO William Salter, was named a 2017 Provider Pro to Know by Supply & Demand Chain Executive magazine. The Pros to Know Awards recognize both supply chain executives and providers that have helped supply chain clients prepare their companies for the significant challenges faced by the industry. Salter was chosen for helping his clients lower mileage, better utilize driver and vehicle assets, reduce carbon emissions and lower annual transportation costs by hundreds of thousands of dollars. This past year proved to be an outstanding growth opportunity for Paragon. The company experienced a 70 percent increase in new customers and achieved annual renewals of more than 95 percent. Notable achievements in 2016 include the opening of an office in China; an updated version of Paragon’s core routing and scheduling software; and complete modularization of Paragon HDX, an order fulfillment system that ensures only feasible, cost-effective delivery options are offered to consumers, which greatly improves the customer service experience by managing and tracking orders from the dock to the consumer’s door. This year’s list of Pros to Know includes individuals from software firms and service providers, consultancies or academia, who helped their supply chain clients or the supply chain community at large prepare to meet these challenges—and Practitioner Pros, who do the same within their own companies. 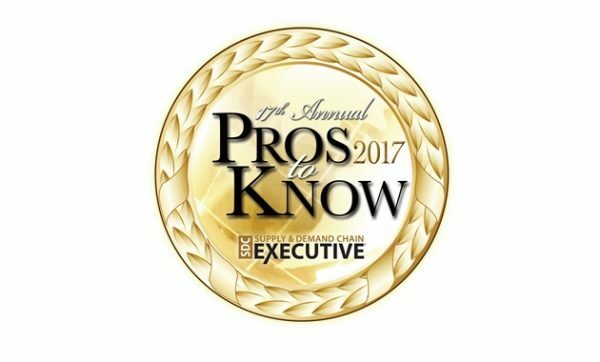 Supply & Demand Chain Executive received more than 300 entries for the 2017 Pros to Know Awards. Check out Supply & Demand Chain Executive’s website at http://www.sdcexec.com/ for the full list of all the 2017 Pros to Know and Practitioner Pros winners.